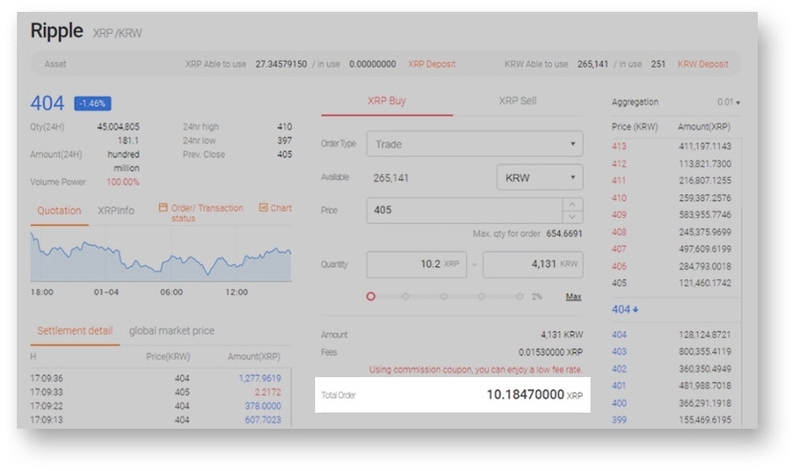 ■ Would you like to know more about the transaction policy ? 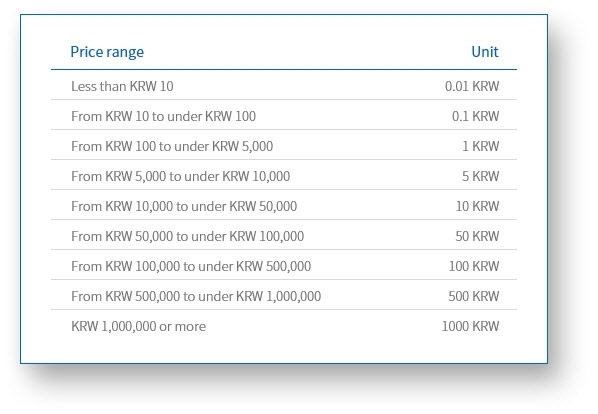 - Per input price ranges, asking price unit is automatically changed based on the below table. 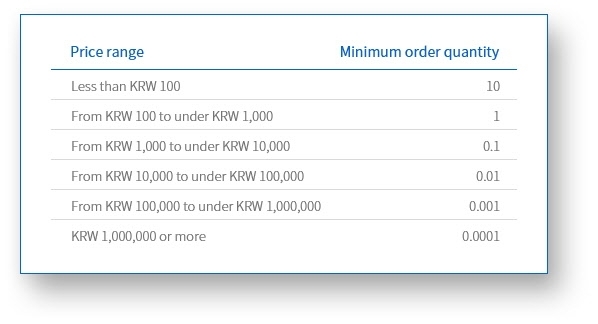 - Per input price ranges, minimum order quantity is automatically applied based on the below table. - Even assets with more than 8 digits to the right of the decimal point are managed with 8 digits to the right of the decimal point. - When buying, price can be input within ±90% of 1st ask price. - When selling, price can be input within ±90% of 1st bid price.